Chinese consumers are becoming ever increasingly affluent. In 2015, 77 Chinese cities’ per capita GDP reached $10,000, and for top cities like Shenzhen, the per capita GDP was as high as $26,071. LB Investment, with their investment strategy as “TMT + Consumption Upgrade”, says it is more accurate to compare per capita GDP city by city, rather than country by country. 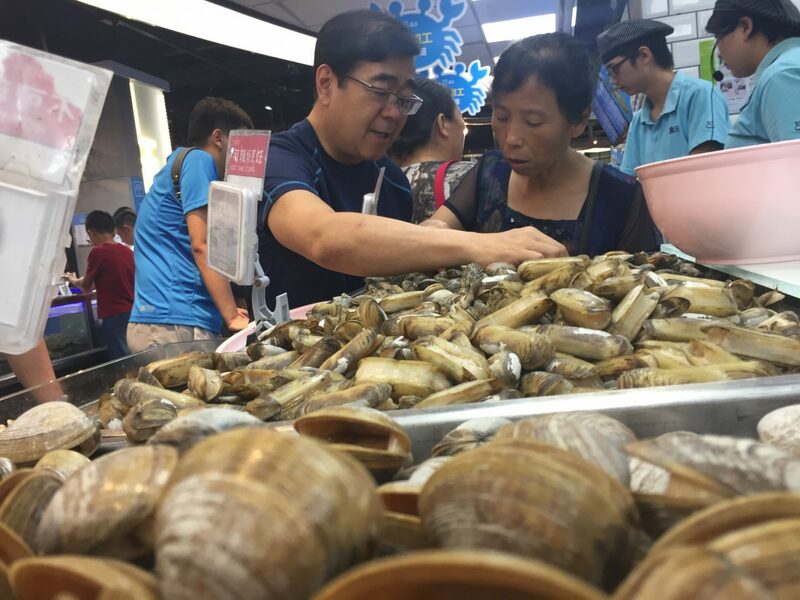 When comparing city by city, some consumers in Chinese cities are ready to afford up-to-date lifestyles as those in advanced countries. Among more than 500 foreign venture management firms in China, LB Investment ranks 36th on the list. LB Investment has $1 billion AUM (Assets Under Management) and LB Investment China manages about $150 million. Not many know that LB Investment stems from LG Corp, owned by South Korea’s 4th largest conglomerate family, the Koo’s. Brian Koo (Bonchun Koo), the grandson of South Korean multinational corporate LG Corp founder Koo In-hwoi, founded LB Investment in 1996. LB Investment China was later established in Shanghai in 2007. Besides the legacy VC funds, LB Investment also manages Private Equity growth stage venture funds. 6.cn: one of the earliest live streaming platform in China. PPS: one of the leaders in video streaming service. It merged with iQiyi, ranking top 10 best exit investment in 2013 and later became a part of Baidu group. UUCUN (悠悠村): The largest 3rd-party app store for smartphones. Tantan (探探): The leading social app for young Chinese that ranked top 10 best portfolio companies firms in the internet sector. Pearl Abyss: The KOSDAQ listed company is the producer of the award-winning MMORPG Black Desert. Black Desert was awarded best Korean game in 2017. Big Hit Entertainment: Big Hit Entertainment owns and operates BTS, one of the top South Korean boy band. 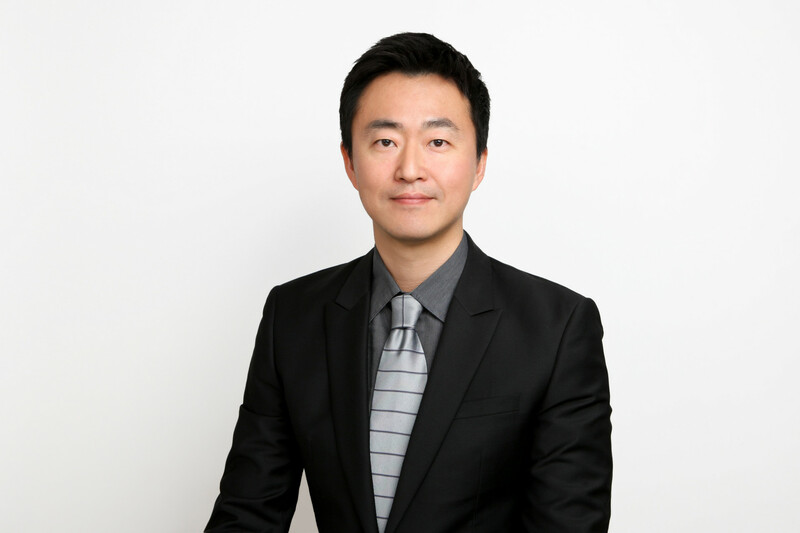 TechNode interviewed Tony Park, the Managing Partner of LB Investment China as well as an early investor of Tantan and many deals in TMT + Consumption Upgrade sectors. The former executive of Alibaba also served as a acting CEO at leading game company The9 and founded a startup which he successfully exited later. During the interview, Tony explained his investment strategy and shared his viewpoints of the current market trends. What are some of the areas in tech that your funds are focusing on right now? We see a clear trend of personalization in consumer behavior, which is closely related to the emergence of a new generation of consumers. This year, the oldest post-90s’ generation (born after 1990) are already 27 years old. They are at the earlier stage of their career and are just starting to get their own source of income now. They tend to purchase products and services based on their own lifestyle rather than social standard. This confidence is quite different from their elder generations, like post-80s and post-70s. The reason behind that is: post-90s grew up under a stable political environment and enjoyed the fast-growing economy of China. They have not experienced any major social change, unlike the previous post-70s and post-80s. Therefore, this generation is very confident. This confidence will become the mainstream consumer mindset in China. This brings good opportunity for China local brands to emerge. They are willing to spend money more than their income level on certain areas that previous generations didn’t, such as sports, fitness and losing weight. Regarding technology, we are looking for companies with technology at the application level. When we invest, we try to find companies that leverage AI and big data to meet the demand for personalized consumption. 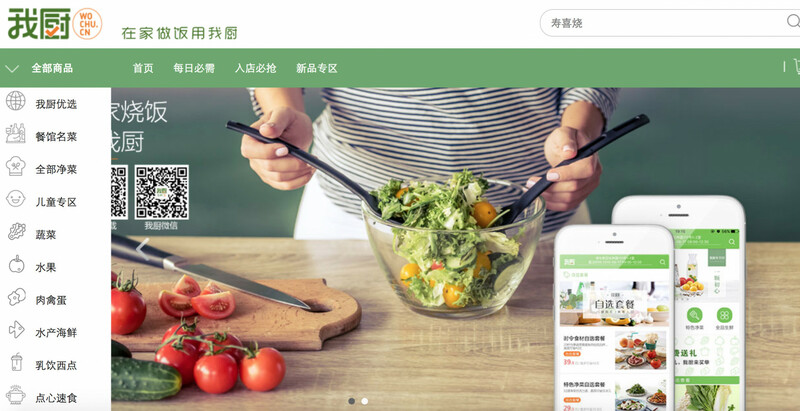 One company in our portfolio Wochu (我厨), for instance, based on its big data of consumer purchase behavior, providess RTC (ready-to-cook) food that fits the fast-paced lifestyle of young professionals. This RTC helps busy young professionals to prepare a meal within 5 to 10 minutes. Another of our portfolio Yunmai provides smart hardware that tells digitalized body status and then provides a solution to help users develop a fitter and healthier lifestyle. Currently, more than 100,000 daily users measuring their weight and following online weight management course on their app to learn more about fitness. What advice, if any, are you giving to startups in your portfolio in regards to conditions in China right now? Many would say it is difficult to raise money compared to years back, dubbing the period as “capital winter” or “market downturn.” But I don’t agree with them. I believe for good companies it is the right time for them to scale up. During the last two years, we have seen many good companies raising large rounds with favorable conditions. The key for any company is to keep technological advantage and focus on bringing value to the customers. As for investors, it is also a good timing to invest. Take LB Investment for instance, as we pursue mid-to-long term investment strategy, our decision making is less influenced by a temporary market downturn. On the other hand, we cannot ignore the fact that China’s economic growth is slowing down, and the overall growth period has come to an end. From a macroeconomic perspective, we foresee this market cool down to affect startups for two to three years, but no longer than five years. During this period, there are still many chances to invest, and we will not hesitate to invest in good deals. For startups already being affected by this capital winter, my suggestion is to keep focusing on bringing value rather than just thinking about the environment. How competitive is the environment between VCs in China right now? It is quite tough. China has more than 8,000 VCs, RMB funds and USD funds altogether. There are 2,000 USD VCs. Altogether, there is much more supply of VCs than before. All the startups want to get investment from good VCs and same goes for VCs. The competition among investors is so fierce, and sometimes we were not able to invest in deals we want. We frequently face these win or lose games. That’s why we deliberately make investments and try to give so much help to startups. We help them raise the next round, help them grow their business network, and connect them to industrial expertise. When they need to adjust business direction, we also discuss the future strategy with them. In order to invest in the best deals, we try our best to stay competitive. Can foreign startups compete in China? And if so, how? The answer to the first question is yes. For overseas startups to survive in China, they should have technical innovation or differentiation point in their product. They should do R&D on site. Take Korean games for instance: Korean games were strong in the home market. However, some of the game makers only relied on recruiting graphic designers in China, not paying effort on localized R&D and not considering Chinese gamer’s taste. Now Chinese game companies are developing their own top grossing games. The local game companies turned out to be more successful because they know their gamers better, thus making better games. China is much more open than Korean and Japanese corporates when it comes to giving an opportunity to female and younger people. The annual income could double or triple depending on their work. Korean, Japanese, and many European companies cannot provide such a condition, and find it unnecessary to set up an R&D center in China. There is no dominant overseas corporate successfully operating in China, and the reality is much tougher for startups. Startup entrepreneurs should have such a mindset that they should move into China, and make an innovative product, otherwise, they cannot survive. The best is that the startup comes to China, and develop their product based on R&D, and try to work with the best Chinese talent. Current tech trends in mind, what do you think will be the biggest winner within five years? We’ll see the era of “AI+”, where big data and machine learning will become a very important part of business success. For example, the top news aggregation app Jinri Toutiao (今日头条) knows which type of news the reader likes, and curates the news for the users, letting them access the information they want. With cutting-edge technologies, they quickly grew large and exceeded other older model online media. Hema Xiansheng (盒马鲜生), the new retail startup invested by Jack Ma, is also an “AI+” company. Users download the Hema app to order online and use it to make a purchase even in retail shops. It gathers all the data of the user’s purchasing pattern and will know which product this user likes to eat, how often they purchase it and will be able to prepare products for delivery or in the retail shop. Tantan, the top social app, will also become an “AI+” company. When users swipe, it will analyze what fashion style, appearance, hobby, blood type the user like, and recommend other people accordingly. How do you predict VC industry in China will change in the next ten years? In the next 5 years, we’ll see VCs who specialize in one niche sector with strong industry expertise. VC in China started as a state-owned company with many employees. But nowadays we see top partners split from larger organizations and start their own business. In the future, we see this trend to keep on developing. We expect there will be many individuals who run their own VC fund that specialize in vertical sectors. To compete in the new era, we need industry experts who can empathize with entrepreneurs, make quick judgments on projects, and have many resources. Compared to “generalists,” experts have a higher probability of investment success. LB, for that reason, chose industry expertise, and we made reasonable compensation structure. A mature investment landscape shall include big comprehensive funds and boutique funds that have professional investors with industry expertise. Also, there will be more vertical funds of funds (FoFs). I have talked to industry expertise FoFs, and some of them were focusing on a certain type of VCs, for instance, internet VCs or consumer brands VCs.